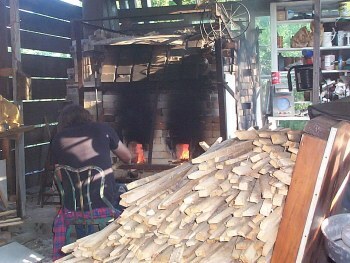 This is the wood firing kiln at Brushy Creek Pottery. It was built by Ken George and includes over 3,000 firing bricks. 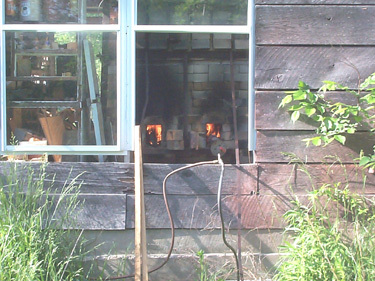 that will be visible from a spy hole left open in the kiln door. 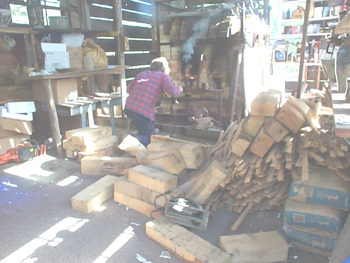 The cones are used to measure inside kiln temperatures. These cones will become soft and melt at individual temperature ranges during the firing. 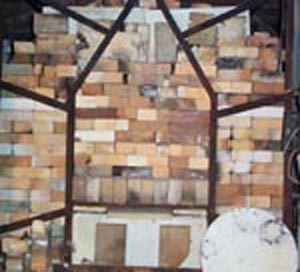 Cone pacs are placed strategically throughout the kiln, this allows the potter to see how hot the kiln is in various places. 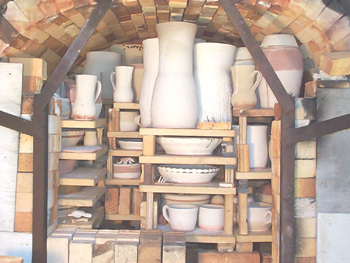 It is important to maintain good even temperatures though out the kiln during firing to obtain maximum performance. 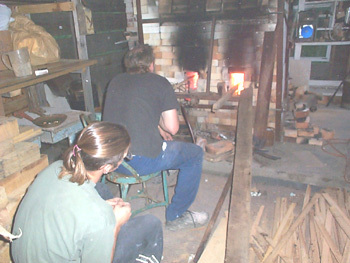 A pyrometer is also used by some potters as a means of measuring temperatures. 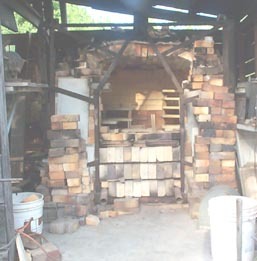 The spy hole brick is in the middle of the kiln door. This is a slow process and usually takes approximately 4 hours. internal temperature to fluctuate and not rise at the proper rate . 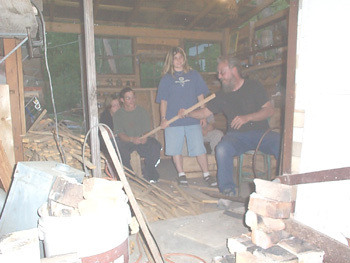 At 4 hours Ken and his crew are gradually feeding the fire. 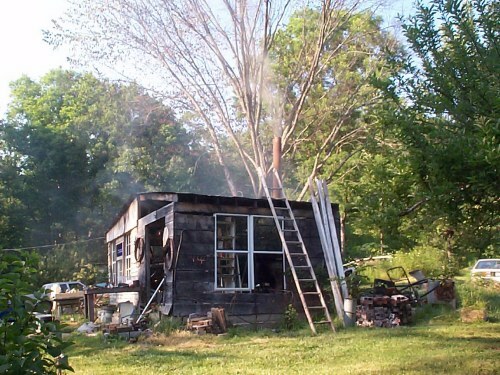 while slowly raising the temperature.